Replacement services will be put in place for passengers affected by Renown Transport Services’ decision to stop running a number of routes from Saturday, December 28. Despite a limited budget, East Sussex County Council has stepped in to set up alternative arrangements for residents. A county council spokesman said: “There will be some changes to the current service, as the costs of replacing all the journeys would be significantly more than the council’s limited budget. Stagecoach in Hastings will take over these services until the end of December 2014. The new timetables will be almost the same as the existing ones. This Mondays to Fridays journey will not be replaced. The next journey from Nevill Road departs at 10.33am. 95: Little Common (Cowdray Park) – Bexhill – Sidley – Ninfield – Catsfield – Battle – Conquest Hospital – St Leonards Sainsbury’s. Renown will continue to provide the service until at least the end of July 2014. This will allow more time to investigate a better value solution which reflects the needs of those using the service. In the meantime the timetables will be the same as the existing ones apart from a possible change to afternoon journeys on Mondays to Thursdays from Bexhill High School. The service will run on Mondays, Wednesdays and Fridays rather than every weekday, through a contract awarded to Compass Travel. 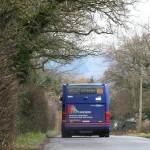 theSussexBus.com will provide a service between Uckfield and Heathfield on Mondays to Fridays on a commercial basis. 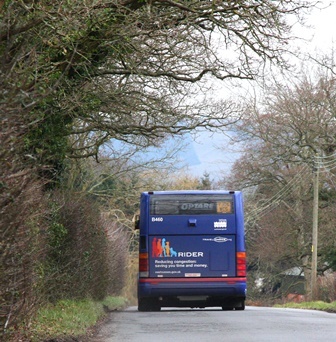 Service 318 between Hurst Green and Heathfield on Mondays and Fridays, and between Etchingham and Uckfield on Saturdays, will run to a new timetable. Compass Travel will be the new contractor for service 318. A council subsidised taxi share project will be trialled on some journeys. There will also be a reduced number of daytime services provided by Battle Area Community Transport and Compass Travel. Pupils for Claverham Community College will be able to use a schooldays only service, operated by JG Coaches. These services in combination will retain a weekday service for each of the communities currently served by the 355. The Saturday journeys on service 355 will not be replaced due to the high cost of provision and the low level of use. This entry was posted in Transport and Environment on December 18, 2013 by martinf.